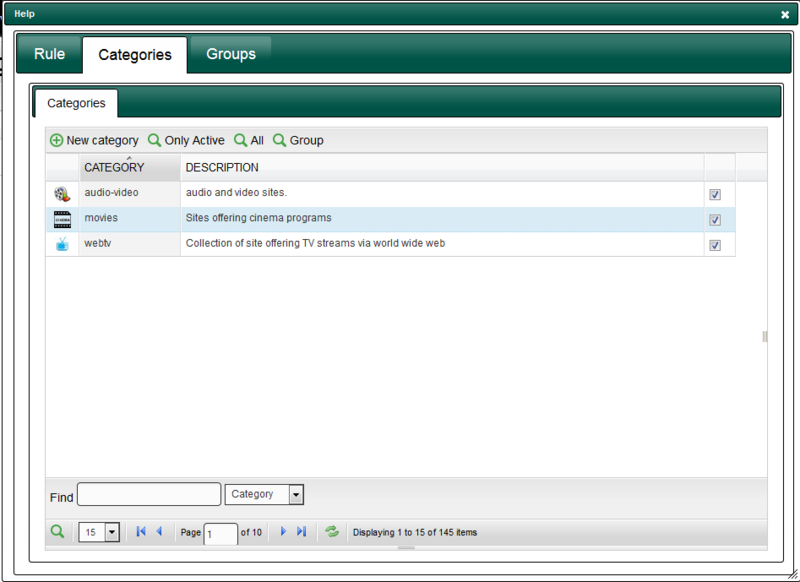 The Artica v2.x is able to “block” Members/groups according downloaded size and/or per category. 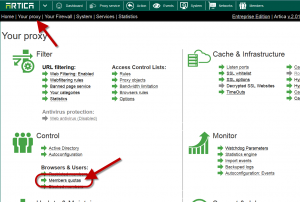 You need to have Web filtering engine enabled. You need to have statistics enabled. If you want to create quota rules with categories, you need to enable “Full features” in performance section our to use a “Category service“. For performances objective, Artica build statistics only each hour. In this case if you create a rule that blocks consumption per hour, detection will be executed only each hour. 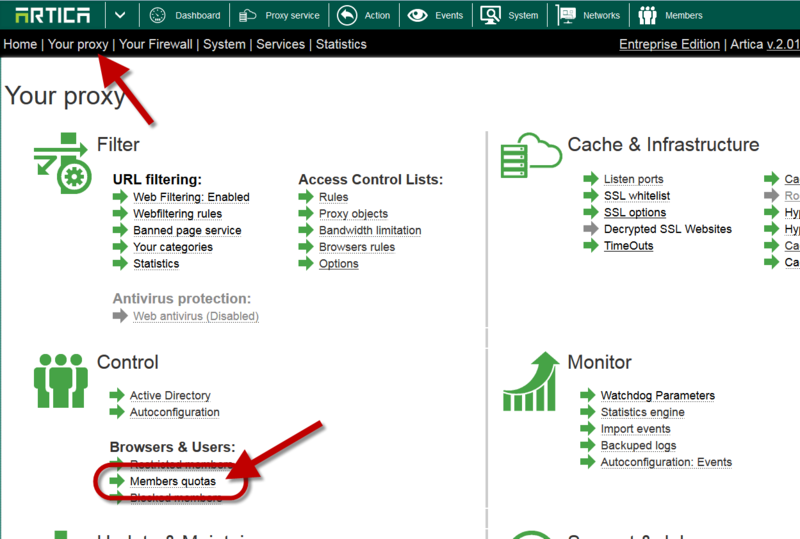 Under the Control section, click on Members quotas link. Choose the period (By hour). Surf trough Internet, after several minutes, when quota exceed the defined value, you should see the web page error. On the rule, click on “Categories” tab. Enable the audio-video, movies, webtv categories and apply rules. 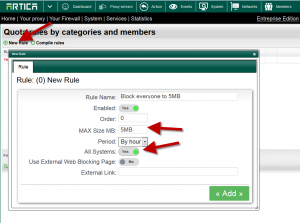 This rule will block members only if the bandwidth consumption exceed the size of one of the category listed.